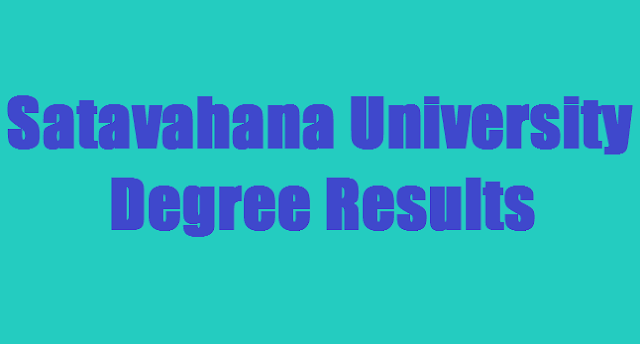 Satavahana University degree results/ BA, BCom, BSc, BBA, BBM March/April 2017 Exams Results, College wise and Hall ticket wise Marks details/ UG Annual 2017 College Wise Results for the academic year 2016-17: Satavahana Universtity Andhra Pradesh has declared the results for the undergradute examinations for the first, second and third year students of BCom, BA, BSc, BBA, BBM courses at the university. Candidates who have been waiting for the results can now download the same from the official website. The results are also available in a zip file and the results have been declared in a college-wise format. Candidates can find these on the universities website to check their results. The results and examination page is under construction but a link has been provided for download of results. * Go to the official website for the university (satavahana.ac.in). * Enter your hall ticket number in the field provided and click on “Enter”. * Click on the notification that says “UG Annual, 2017 College Wise Results for the academic year 2016-17”. * This will begin the download of a zip file. Once it is downloaded, open the file. * Search through the pages for your name, college and roll number (use ctrl + F to make the search easier). * Keep a copy of your results for further reference.